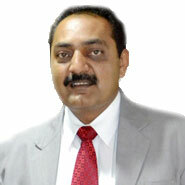 Dr. Shrirang Limaye is a Orthopedist in Kothrud, Pune. An acclaimed name in his field, Dr.Shrirang Limaye in Kothrud, Pune is one of the most distinguished and recognized practitioners in the orthopedics discipline of medicine. The doctor deals with the problems related to the musculoskeletal system which is concerned with the correction of spinal and bony deformities in children as well as adults.This clinic is situated at a convenient location in Kothrud.Lane No 4 is popular landmarks in the clinic’s close vicinity that make spotting the establishment rather easy. The doctor, with his experience in the field, has been practicing for a substantial number of years. Having received specialized training from several eminent national and international medical centers, the doctor owns immense credibility.